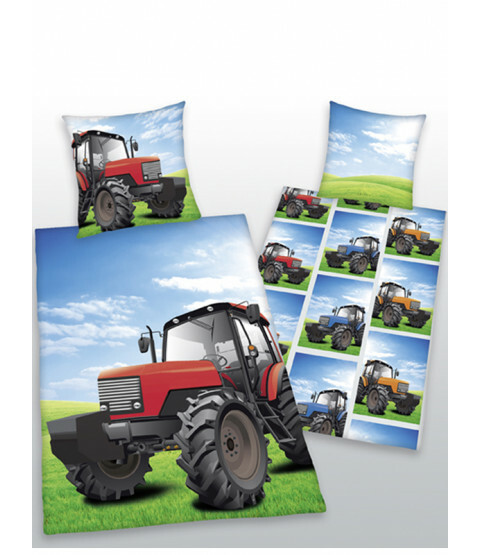 This Tractor Reversible Duvet Cover and Pillowcase Set is perfect for any budding farmer! 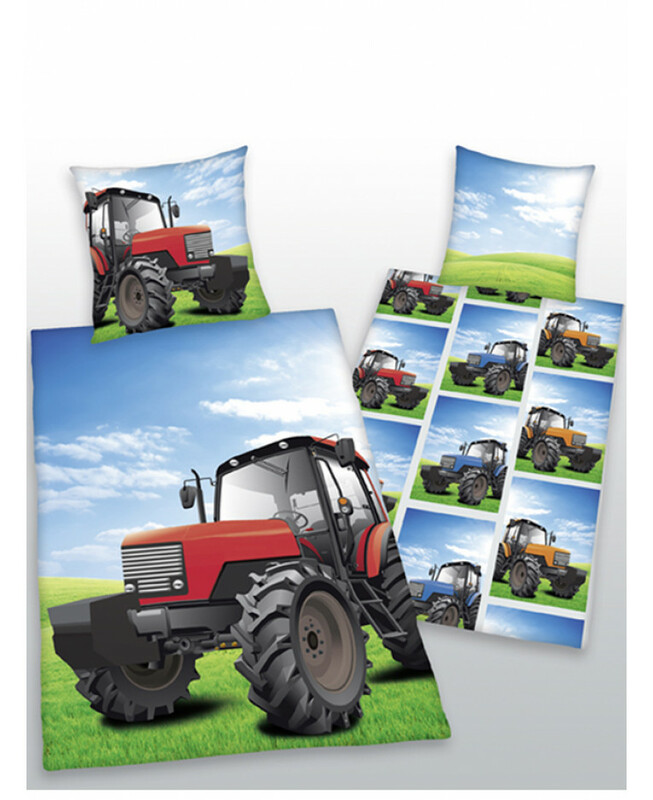 The design features a great image of a red tractor on the front with a collection of multi coloured tractors on the reverse. The pillowcase is also reversible with a red tractor on one side and a sky and field on the other. This bedding set is made from 100% cotton and is suitable for machine washing and tumble drying.